Under Chapter 13 bankruptcy, most of your debts are wiped clean through a discharge after you successfully complete a repayment plan lasting three to five years. Unlike in Chapter 7 bankruptcy, your assets are not liquidated to pay your creditors; therefore, savings in your Individual Retirement Accounts are protected from your creditors. Furthermore, since IRA accounts are exempt from your bankruptcy estate, you are permitted to make reasonable contributions to your retirement savings. When you submit a petition for Chapter 13 bankruptcy protection, you are placed on a repayment plan and submit all discretionary income to a court-appointed trustee over a three to five year period. The trustee pays these funds to your creditors. In exchange for these payments, you are granted protection from any collection actions by your creditors. At the end of your repayment period, any remaining eligible debts are discharged and your creditors can no longer seek payment from you. Since you are making payments on your debts under a Chapter 13 bankruptcy, you are able to keep your possessions, such as your house, car and retirement accounts. The discretionary income you pay to your creditors each month must equal the amount they would have received had you filed for Chapter 7 bankruptcy. To calculate this amount, the trustee looks at all the property that could otherwise be seized and liquidated. Federal and Indiana state law provide exemptions that you can apply to certain types of property to shield them from forfeiture to your creditors. When an exemption is applied in bankruptcy, some or all of its value is protected depending on the asset and applicable exemption. Indiana law exempts all retirement benefits from bankruptcy proceedings. Similarly, the United States Code exempts individual retirement accounts so long as the aggregate value of the account does not exceed $1,000,000. Although federal law places a cap on the amount that may be exempted from such accounts, you may still be able to exclude the funds from your Chapter 13 repayment calculation by applying the Indiana state exemption, which does not cap the value of the retirement account exemption. In addition to being able to keep your IRA under Chapter 13, you are also permitted to maintain your regular IRA contributions in order to keep saving for your retirement. However, you are not permitted to increase your IRA contributions immediately before filing for bankruptcy in order to shield your income. The trustee will usually object to this practice, and you will likely be required to reduce your IRA contribution amounts in order to increase the disposable income available to your creditors. One benefit of your IRA is that you may be permitted by your investment broker to take out a loan against your retirement savings so long as you repay it within a set period of time. Although the bankruptcy code does not prohibit you from taking out a new loan while under bankruptcy protection, the judge and court-appointed trustee may object to your incurring additional debt. Therefore, if you need to access your retirement savings through a loan, you should seek permission from the court first. If you have reached retirement age, you are eligible to withdraw from your IRA account to pay your expenses. These withdrawals are not prohibited in Chapter 13 bankruptcy since the funds are your assets maintained in an exempt investment account. Furthermore, since the funds are not treated as "income," any money received from your IRA does not count as part of your discretionary income used to pay your creditors. Can Creditors Take My IRA Rollover in Bankruptcy? Bankruptcy Law Network: Can I Make A Maximum IRA Contribution To Protect My Cash? Bankruptcy Law Network: Why Are Chapter 13 Debtors Not Allowed To Borrow? If you are like most debtors filing for bankruptcy, you are behind on your rent, credit card bills and car payments. You also rely on your car to go to work, and the loss of your car would be devastating to your already precarious financial circumstances. Bankruptcy can be your opportunity to avoid repossession of your car and help you restore your credit rating. 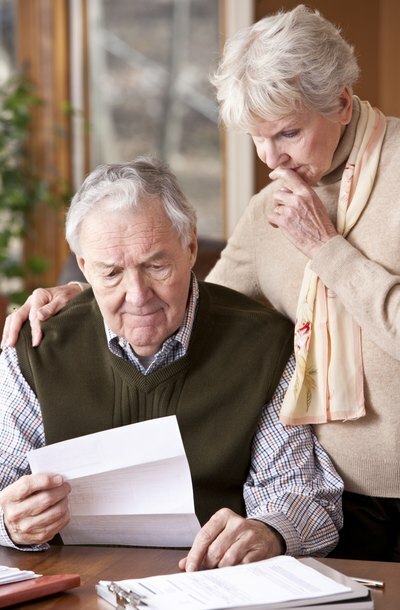 Does Your IRA Survive Bankruptcy?